How to use: 1: clean and dry the skin completely. 2: remove the transparent film. 3: place the tattoo face down on the skin. 4:rub and wet the tattoo completely with damp cloth or sponge. 5: wait a few seconds and peel the corner of the tattoo. 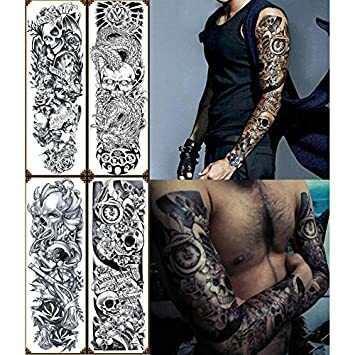 6 allow tattoo to dry.